It's not at all surprising, but it needs to be said in some capacity: Tory Lanez is adamantly declaring himself "The Best Rapper Alive Right Now," so open the floodgates, & let the saber rattling commence. Hip-hop fans aren't too far removed from hearing Lanez send an open-call to the World at Large, in the hopes of securing worthy battle-ready opponents. Joyner Lucas answered the first challenge, acquitting himself quite comfortable in the situation, but a slight majority still sided with Tory for the W. So, to no one's surprise, Tory Lanez jumped on Twitter to declare himself the current BEST, while also questioning the work ethic of his closest competitors - a list too long to read in one sitting. 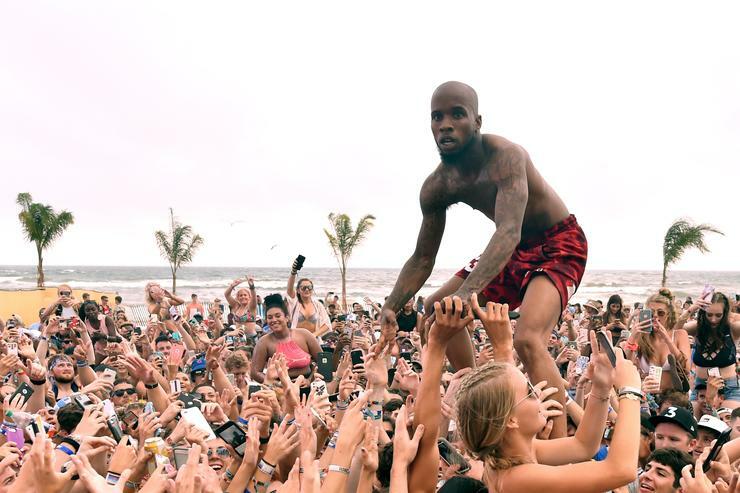 In a third successive Tweet, Tory Lanez offered J. Cole & Pusha-T the loaded compliment of being among his "favorite rappers," yet mocked their unwillingness to engage in battle. "Equal opportunity," he openly states is his preferred way to-do-battle, & lure the most talented rappers into the gridiron. Climb on The Family Tree below & share your thoughts about My Nephew Tory Lanez’s shady situation. Jan 23 Exclusive Footage... Raging Women Attack Charleys Philly Steaks Workers After Credit Card Dispute!!! Jan 13 Drake Teases Las Vegas Residency!! !